We have a foodie over here! 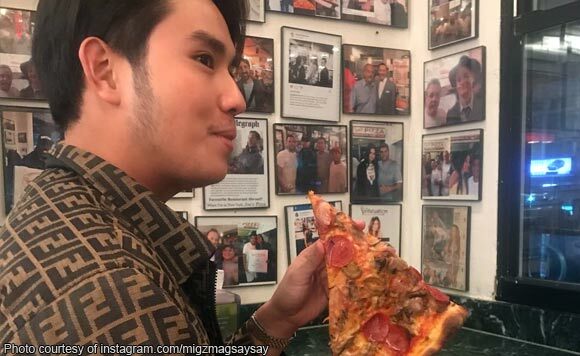 San Juan, La Union Councilor Miguel “Migz” Magsaysay found a rather funny way to caption his photo while he was eating at Joe’s Pizza. The politiko posted a picture of himself about to eat a huge slice of pizza from the New York restaurant. “Surround yourself with #pizza, not negativity – @dimashadilet,” said Magsaysay.